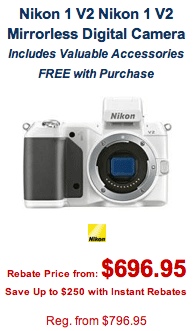 After a $500 savings, the listed price is $2,846.95 with free shipping at B&H. 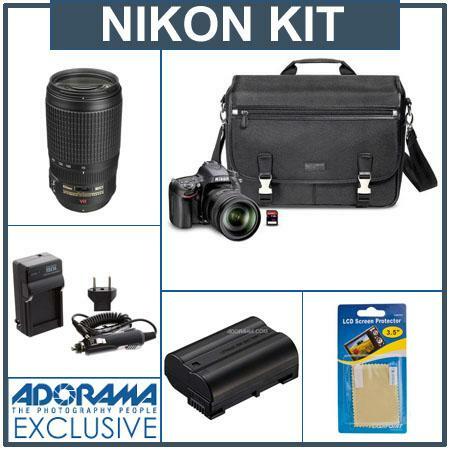 On the same kit, Adorama offers also a 2% in rewards (the Nikon Store listing is priced higher and it doesn't offer free shipping). This offer will end on June 1st, 2013. 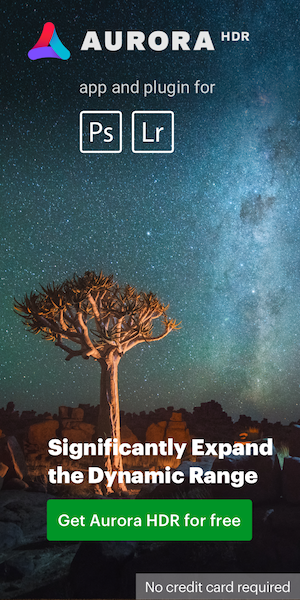 Other Nikon D600 kit combos can be found here, here and here. 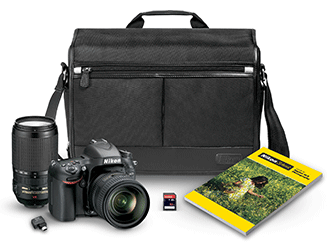 Up to $250 savings on the Nikon 1 V2 kits. 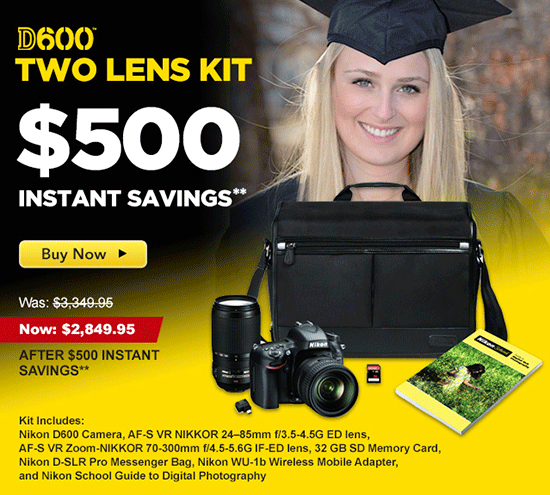 Up to $470 savings on the Nikon D3100. This entry was posted in Deals, Nikon D600. Bookmark the permalink. Trackbacks are closed, but you can post a comment.